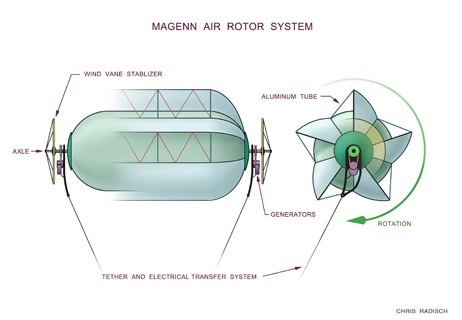 The Magenn Air Rotor System (MARS) is a new generation of cost effective wind turbine to produce electricity from wind power anywhere. Conventional wind turbines require wind speeds between 3 metres/sec and 28 metres/sec and are generally installed in coast line. As MARS can operate between 1 metre/sec and in excess of 28 metres/sec, they can be installed anywhere. The only restriction is that MARS units may not operate in controlled airspace or within five miles of the boundary of any airport. MARS has marine applications also to power up: island nations, offshore drilling stations, and barge mounted power stations. a product of Magenn Power Inc. and commercial applications of 10 kW to 25 kW MARS units are expected to be in 2009/10. is a lighter-than-air tethered wind turbine that rotates about a horizontal axis in response to wind, generating electrical energy. this electrical energy is transferred down the tether for consumption, or to a set of batteries or the power grid. helium sustains the Magenn Air Rotor System, which ascends to an altitude as selected by the operator for the best winds. its rotation also generates the “Magnus” effect. This aerodynamic phenomenon provides additional lift to stabilize the MARS unit at a controlled and restricted location, at preset altitude without downward drift on its tether. is equipped with at least two deflate systems (Rapid Deflation Device) to bring the unit slowly and safely to the ground automatically if it escapes from its moorings. if the MARS unit “cut down” system does not function properly, it will immediately notify the nearest ATC facility of the location, time of escape and the estimated flight path of the balloon. is equipped with a radar reflective material that will present an echo to surface radar operating in the 200 MHz to 2700 MHz frequency range. units that operate over 150 feet will have a lighting system including individual lights that are placed every 50 feet on its tether. The lights will flash once per second. low cost electricity – under 15 cents per kWh. wide range of wind speeds: from 1 meter/second. 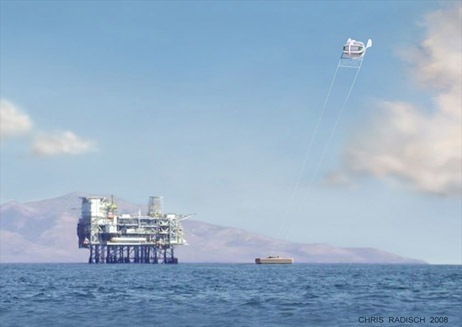 higher altitudes – from 200 to 1,000 feet above ground level operations are possible without expensive towers or cranes to carry out maintenance. fewer limits on placement location – coast line placement is not necessary. ability to install closer to the power grid thus minimizing transmission line costs and transmission line loses. efficiency of 40 to 50 percent: will deliver time-averaged output much closer to its rated capacity than the capacity factor typical with conventional designs. being portable, are suitable for emergency deployment including disaster relief situations. ideal for off grid applications or where power is not reliable. developing nations and island nations where infrastructure is limited or non existent. disaster management: rapid deployment (to include airdrop) in disaster areas to provide emergency power to medical equipment, water pumps, and relief efforts (ex. Katrina, Tsunami). 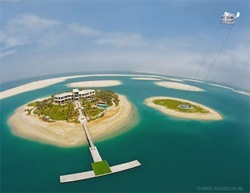 off grid for cottages and remote uses such as cell towers and exploration equipment. View here the Magenn Air Rotor System technical animation. 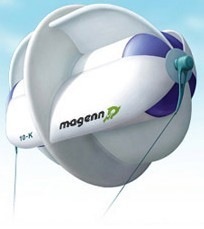 View an interesting video clip M.A.R.S: The Floating Balloon Wind Generator. All images are from MARS and for more information on MARS, log on to Magenn Power Inc.